Buster, who now serves as President Emeritus has been affiliated with the firm since its founding by his father in 1938. He is a 1942 graduate of Bradenton High School. He attended the University of Georgia, Rollins College and the Eccle's College of Mortuary Science in Philadelphia, PA. He purchased Mr. Cline's interest in the firm in 1949 and his father's interests in 1960. He is a member of Christ Episcopal Church, Bradenton, is a Past Master of Bradenton Lodge #99 F&AM, is a member of the Lions Club and was named Manatee County's Distinguished Citizen of the Year in 2008. Buster and his wife Eileen have been married for 64 years. They have three children, five grandchildren, and a great-granddog. Ken, President of Griffith-Cline Funeral and Cremation Services and grandson of founder Jesse Griffith, joined the firm in 1967. He is a 1969 graduate of Manatee High School and possesses both a B.S. in Business and an M.B.A. from Wake Forest University. In their free time, he and his wife Catherine (originally from Kitchener, Ontario, Canada) enjoy the peace and serenity of the Everglades, where they own a camp in the Big Cypress National Preserve. Ken is the proud father of two children: Carolyn and Robert. Sammy is a Bradenton native and is a graduate of Southeast High School. 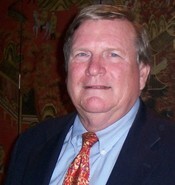 He holds the Associate of Science in Funeral Service degree from Gupton-Jones College of Funeral Service in Atlanta, Georgia. His father was a funeral director in the Manatee/Sarasota area for more than 35 years, so it was natural that Sammy would choose to enter the field himself. 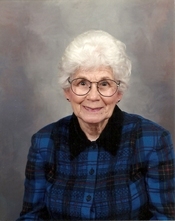 Sammy joined Griffith-Cline Funeral and Cremation Services in August 2011. 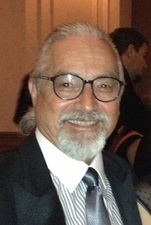 Sammy has 33 years experience in funeral service in the Manatee/Sarasota area. Sammy belongs to Manatee Masonic Lodge #31, F.&A.M. and is a member of the York Rite as well as the Sahib Shrine, Sarasota. He is a former reserve officer for the Bradenton Police Department. He married with three children and is a member of Woodland Community Church. Bob possesses an earned Doctorate in education from the University of Delaware, and a Bachelor of Arts and Master of Arts degree in music from Trenton State College. 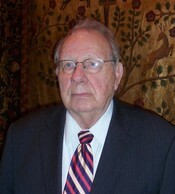 Bob joined Griffith-Cline Funeral and Cremation Services in July 2002, following a 35 year career in higher education. Prior to his retirement from academia, Bob was an Associate Professor of Music at The College of New Jersey, where he was Artistic Director of the college’s Opera Theatre and also served as Chairperson of the Music Department. Upon his retirement, he was awarded the title Professor Emeritus of Music and in 2006 was awarded the college’s highest honor: the Alumni Citation. In addition to his work in education, Bob was also affiliated with Trinity Episcopal Cathedral in Trenton, NJ, where he served on the music staff as a member of the professional cathedral choir, also serving as conductor of festival services and concerts. At present, he is Artistic Director of Musica Sacra of Sarasota. It is the Florida Gulf Coast region’s only choral ensemble dedicated solely to the presentation of sacred music. He is also the Music Director of The Hillwood Singers, a choral ensemble comprised of singers from the US, England, Finland, Belgium and Germany that serves as Choir in Residence at one of England's great cathedrals each summer. 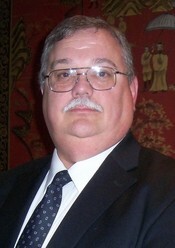 A Licensed Funeral Director, Bob also serves as Operations Director and administers the Pre-need program. Bob and his wife Joan reside with their furry son Buster in East Manatee County. In addition to their travels within the US, they have visited more than 20 countries and spend considerable time each year in England and France. Ed's bio will be posted in the very near future.